People often ask about towers on Dyna-Ski Boats. Ask and you will eventually receive! I'm not a big tower fan so I prefer and always suggest extended pylons as they can be removed although it can be a pain to have to put them on and take them off over and over. The big reason that I don't like towers is a long term one and it is if you or your kids stop using the tower it is still on the boat. With an extended pylon you just put it in the back corner of the garage and forget it is there. Remember this is only my opinion and worth every bit of what you paid for it. Nothing! When you order a new Dyna-Ski you get what you want. Dyna-Ski 20' Open Bow is in South Florida which generally refers to Miami, Fort Lauderdale, Boca Raton and Palm Beach (or West Palm Beach). We have put a tower on a Dyna-Ski 17.6 Open Bow with a 150. 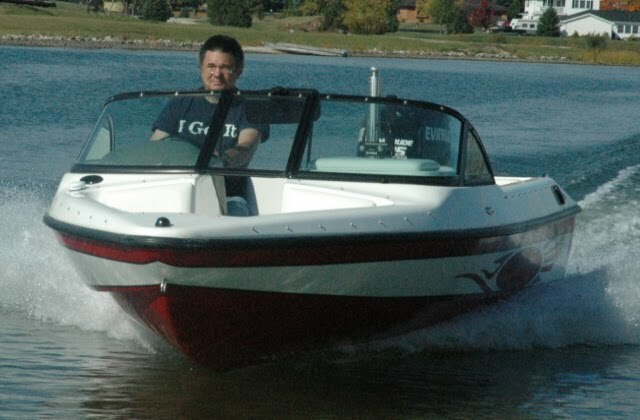 The boat pictured below was sold several years ago and I have lost track of it. 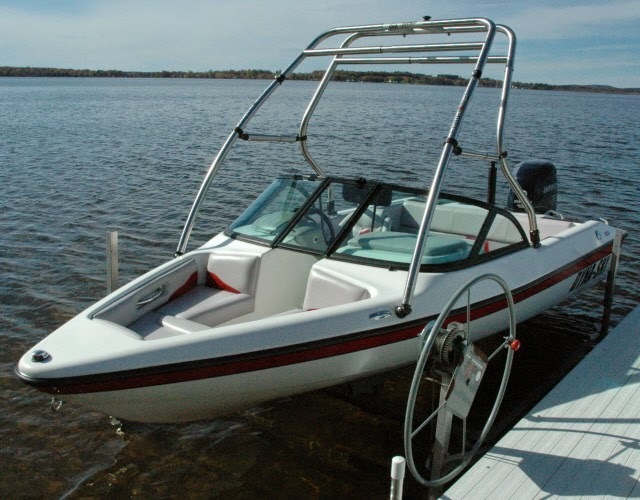 I am pretty sure some owners of Dyna-Ski Boats have installed their own towers but no one has shared any pictures of them with me.